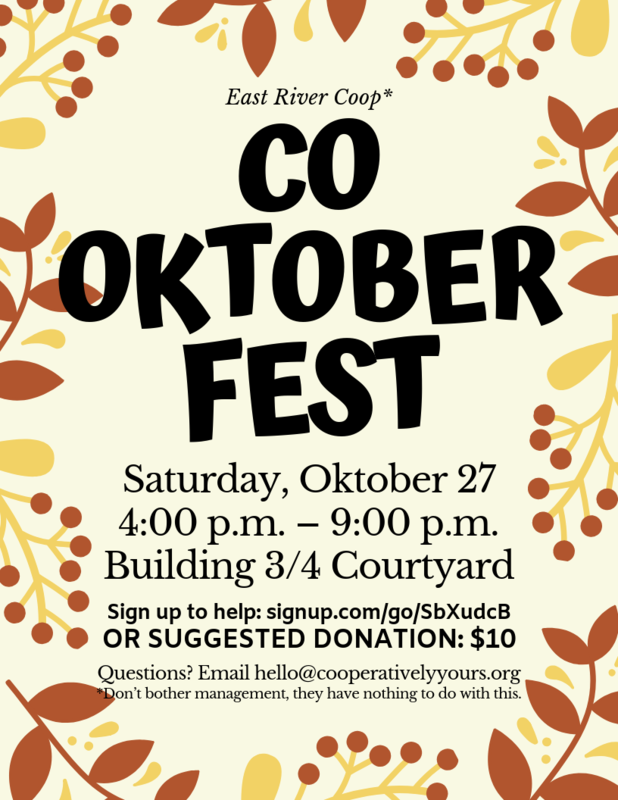 Join us Saturday, October 27 for the fourth annual Co-Oktoberfest. 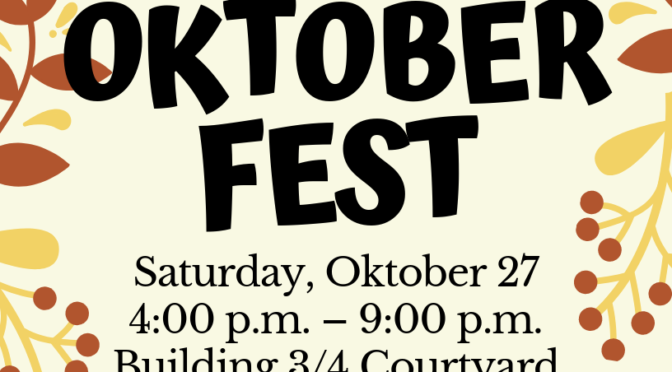 From 4:00 pm to 9:00 pm, join neighbors and friends in the courtyard between buildings 3 and 4 (the north side of Grand Street) for food, games, music, fun, and food. Bring the whole family! You can sign up to bring food, paper plates, or help with games: http://signup.com/go/SbXudcB. Or please consider a suggested donation of $10 per person. This is a loose, cooperative,* potluck-style afternoon/evening, just a chance to hang out with your neighbors. *We are compelled to let you know that the East River Coop Board and Management have nothing to do with this event, it’s just not their thing.